I’ve heard Avengers: Infinity War described as the Empire Strikes Back of the Marvel Cinematic Universe because of its dark tone and somber ending. But I would argue that people who say that are a little off the mark. Avengers: Infinity War is the original 1977 Star Wars film if Darth Vader had won. Here’s my evidence to back up that claim. Both films don’t waste any time getting down to business, opening on a spaceship under siege. In the aftermath of an onscreen battle, Darth Vader walks over the bodies of dead Rebels who were desperately trying to get to Tatooine. In the aftermath of an offscreen battle, Thanos walks over the bodies of dead Asgardians who were escaping the destruction of their homeworld. Vader crushes the throat of the ship’s captain because the captain lied about his diplomatic mission. 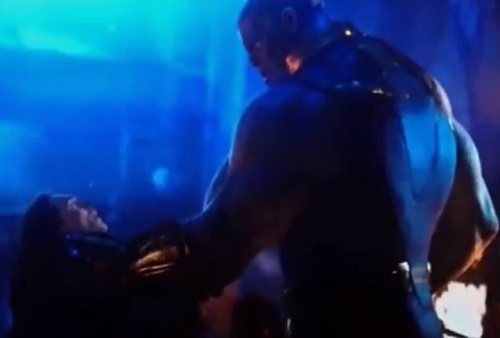 Thanos crushes the throat of Loki because he lied about his intention to help Thanos. Princess Leia is captured, but remains defiant in the face of Vader’s threats, and she refuses to give him what he wants. Thor is captured, but remains defiant in the face of Thanos’s threats, and he refuses to give him what he wants. However, Thanos does eventually get the Infinity Stone. R2D2 and C3PO barely escape the grasp of Vader by flying off in an escape pod to Tatooine. 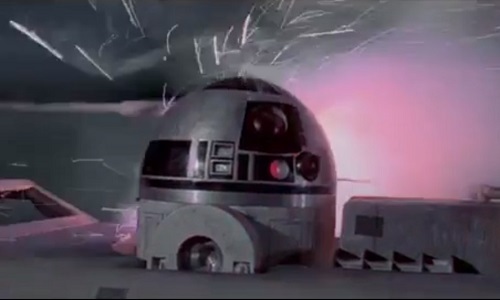 Artoo has the Death Star plans in his memory, which he needs to get to the Rebellion. The Hulk barely escapes the grasp of Thanos by getting transported to Earth. He is able to warn the Avengers about Thanos’s plan to kill half of all life in the universe. When he is first getting to know Luke, Threepio calls him “Sir Luke” as a title of honor, but Luke just laughs it off and says, “No, it’s just Luke.” When Banner first meets the king of Wakanda, he bows to him because of his royal status, but the king tells him they don’t do that there as James Rhodes laughs at his faux pas. 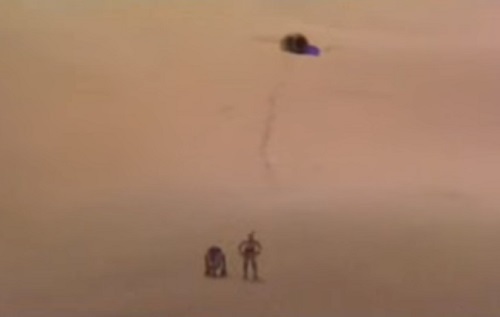 Luke leaves Tatooine after his home is destroyed and his aunt and uncle are killed. Peter Parker’s uncle is already dead, but he leaves Earth to protect his home and his aunt from being killed. 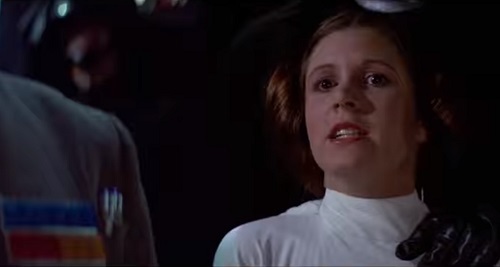 Leia is forced to choose between allowing her homeworld of Alderaan to be destroyed by the Death Star or divulging the location of the hidden Rebel base. She finally relents, but it doesn’t matter because Grand Moff Tarkin still destroys the planet. However, she didn’t tell him the real location of the base. Gamora is forced to watch her stepsister Nebula being tortured in a most cruel manner to get her to divulge the location of the Soul Stone. She finally relents, and Thanos shows mercy on Nebula. Gamora leads Thanos right to the Soul Stone. Tarkin callously destroys Leia’s defenseless homeworld of Alderaan. Thanos callously destroys Thor’s ship where his fellow Asgardians were helplessly taking refuge. Luke leaves in the care of Obi-Wan Kenobi aboard a spaceship piloted by Han Solo. They quickly escape from a couple of Star Destroyers before being pulled into the Death Star by a tractor beam. Parker stows away aboard a spaceship with Doctor Strange and Tony Stark. They quickly dispatch Thanos’s minion and then allow the ship’s autopilot to take them to Thanos’s homeworld Titan. In a command center aboard the Death Star, Luke and Han quibble about what to do when they learn that Leia is also there and in need of rescue. Meanwhile, Kenobi goes off on his own to face his destiny and try to help them out of the tractor beam. On Titan, Quill and Stark quibble about what to do as they plan their attack against Thanos. Meanwhile, Strange goes off on his own to look into millions of possible outcomes of their fight, and he only finds one way to help them succeed. Kenobi tells Vader during their final lightsaber duel, “If you strike me down, I shall become more powerful than you can possibly imagine.” Vader does indeed strike him down and Kenobi vanishes. After losing the Time Stone to Thanos, Strange tells Stark, “It was the only way” before vanishing into ashes. Artoo gets inserted into Luke’s X-Wing for the assault on the Death Star. During the battle he gets badly damaged, but he survives the ordeal. Banner gets into the Hulkbuster suit of armor for the assault on Wakanda. During the battle, he gets his robotic arm ripped off, but he survives the ordeal. 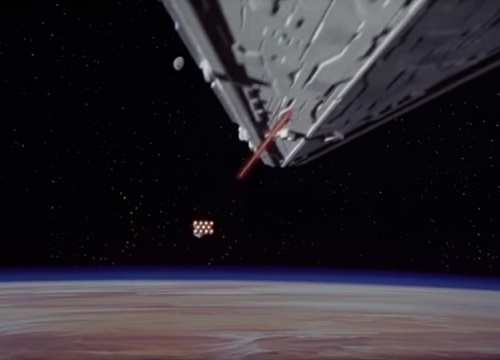 Han Solo is able to distract Vader just in the nick of time to allow Luke to shoot his torpedoes into the thermal shaft and destroy the Death Star. 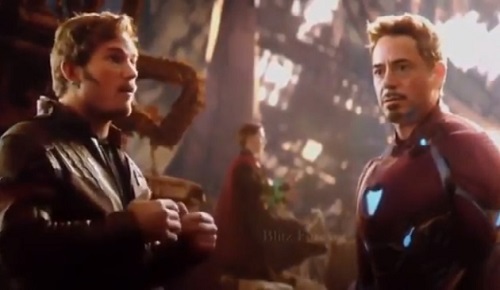 This moment is recreated twice in Avengers: Infinity War with the opposite results. First, Stark, Strange, Parker, and others try to distract Thanos just long enough to get the gauntlet off his hand, but just in the nick of time Quill disrupts their concentration and allows Thanos to break free from them and retain his gauntlet. And second, Steve Rogers, Banner, T’Challa, and others slow Thanos down just long enough to give Wanda time to destroy the last Infinity Stone. 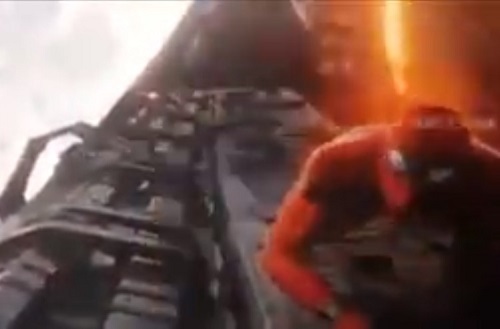 However, Thanos cheats by simply reversing time and taking the Mind Stone before it is destroyed, so all the heroes’ efforts at delay and distraction are for naught. I’ve probably missed even more things, like how Stormbreaker is kind of like the Force or a lightsaber and Groot resembles Chewbacca a bit. The point is that there are a lot of fun similarities between these two wonderful sci-fi/fantasy tales. Vader and the Empire killed a lot of people in Star Wars, much like how Thanos killed an awful lot of superheroes at the end of Avengers: Infinity War. I wouldn’t worry about it too much, though, because there’s sure to be a happy ending. There will be a new hope in the next film when the Avengers strike back and then we witness the return of the dead guys. This entry was posted in Movie Matchups and tagged action movies, avengers, comic books, films, movie review, movies, science fiction, sequels, star wars. Bookmark the permalink.